The following essay, by Rev. Dr. Jamie McLeod, Jr., provides a response to the recent reports of misconduct by key leaders at the Southern Poverty Law Center. McLeod thoughtfully questions tendencies to concentrate power in singular individuals and to invest full faith in key leaders of movements, rather than in the movement itself. You can find McLeod’s full bio below. A few years ago, coming back from a conference with my senior high youth, we stopped in Savannah, Georgia, en route back to North Carolina. This was around the time of peak Paula Deen fandom in the South but before all the hullabaloo around her potential use of the N-word and racially problematic sentiments had arisen. And because there was a great deal of affection for Deen’s cooking, we decided to have lunch at her Savannah-based restaurant, The Lady and Sons. Now, I should say that I have been a vegetarian for nearly 20 years and that often makes eating southern food a little bit of a dicey proposition unless you know that you know that no one has cooked biscuits with lard or green beans with bacon drippings. In truth, I was just excited about the peach cobbler that I had heard so much about (and I can report that it truly did not disappoint). There is, however, something that you should know about The Lady and Sons restaurant and really the Paula Deen empire, in general. You can get about anything you want with Paula Deen’s name on it. (At least you could a few years ago). Cookbooks, kitchen wear, gadgets, and even signature box mixes to make, for instance, the Paula Deen peach cobbler in your own home. It was a little bit like walking through the country store at Cracker Barrel, if instead of being surrounded by Tammy Wynette CDs, Cow Tail candies, kitschy kitchen wears, and T-shirts with Southern-esque phrases, everything in the store had Paula Deen’s signature and/or likeness on it. On that day, we spent close to an hour meandering around the whole first floor of the building waiting for our name to be called. By the time we sat down we (or at least I) had reached Paula Deen overload. All I wanted to do was eat some biscuits and cobbler and get on the road back to the Old North State. As it was, when the waitress arrived, I ordered a sweet tea and the buffet and managed to cobble together a plate of vegetables that at least looked like they had not been stewed/fried/roasted in meat. It was then that it struck me. You would have to be virtually colorblind not to see that the hostess and all the wait staff were white, while all the busing staff, cooks, bottle washers, and generally all the folks that stayed in the back, were black. At the time, I didn’t really say anything. Even now, I’m not 100% sure how that conversation even should go. But the ethos of the restaurant did begin to take on a more troubling feel. We finished our meal (and cobbler) and headed on our way, but I filed that moment away in the back of my mind and decided at that point that future trips to The Lady and Sons were probably not going to be necessary. Thus, as the whole South collectively lost their minds when it came out that Deen had hosted a Civil War themed wedding reception in which black servers were made to dress like Antebellum slaves, or, that she had, for some time, casually used racial epithets , it was not exactly a galloping shock to me. This week, I found myself experiencing a similar sickening feeling, though this time with a great deal of shock, as I read an article in The New Yorker on the fall from grace of Morris Dees, the founder of the Southern Poverty Law Center, and the group that he started and sat at the helm of for over three decades. As a progressive southerner, it is hard to imagine an organization that seemed more committed to the causes for which I stand than the Southern Poverty Law Center (SPLC) and its founder, Morris Dees. The SPLC and Dees gained a great deal of notoriety in the late-1970s and early-1980s through their efforts to garner some degree of legal accountability from groups like the Ku Klux Klan. Though the Klan’s numbers had been dramatically decimated by this period in history, they still had some holdings and would continue to incite violence against other racial/cultural groups. Dees and company scored a series of legal wins against groups like the United Klans of America, in which a jury found in favor of the mother of a young man lynched by Klan members, awarding her seven million dollars, and also against the White Aryan Resistance, a groups whose members killed an Ethiopian man named, Mulugeta Seraw, finding the Resistance liable to the tune of twelve and a half million dollars. With this momentum, the SPLC began to expand their initial focus and turn its attention to hate groups in general. Morris Dees, 2009. Getty Images. Since the commencement of the twenty-first century, the SPLC has used a number of tracks to challenge hate groups in the country. Legally, they have continued to bring action against groups whose hateful rhetoric and belief structure have translated into violence against maligned groups. In addition to racial animus, the Center has sought to challenge groups whose religious and philosophical commitments have led to hate-filled action against other more defenseless groups. More importantly, they have taken to tracking all the organizations that fall within the Center’s parameters for hate-groups. This work has been useful both to law enforcement agencies who, too, try to keep an eye on the inner-workings of groups that could potentially run afoul of the law and academics (myself included) who have studied the various manifestations of societal enmity between groups. Finally, they have turned their attention to the education of the next generations with the production of “Teaching Tolerance,” a periodical offered to any teachers and their students who want to take on issues of injustice within the classroom milieu. For a great many law enforcement agencies, academics, and teachers, the work of the SPLC has been invaluable. This is what makes the contents of this article (and others) so jarring. Good people doing good work aren’t supposed to have the kinds of shortcomings written about in The New Yorker. At the center of both the SPLC and the issues that have swelled around it for much of the last 20 years (though really just very recently exposed to the larger public) is the charismatic and charming attorney, Morris Dees. Within the area of poverty law, Dees casts an incredibly long shadow. Dees, a 1960 graduate of the University of Alabama Law School, worked as both a civil attorney and the proprietor of a Direct Marketing firm. It was these two areas that informed the formation of the single entity of the SPLC when Dees and his partner, Joseph Levin, came together to focus their practice on defending the civil rights of the marginalized. In order to fund this work, Dees took the knowledge and experience that he had gained as a marketer and began to use direct mailings to raise money for the Center. As Dees and the Center began to rack up high profile legal victories, he used that fame to expand his reach into America’s mailboxes. When the Center’s original headquarters was destroyed by a bombing in 1983, the Center raised huge amounts of money until they were able to build a new office with security that would rival the Pentagon. Dees, for his part, became something of a canonized member of the liberal activist class within the country. He found an ingenious way to legally bring down a number of hate groups and had been rewarded mightily—both in terms of fame within a certain segment of the population, as well as monetarily. With each new legal victory the Center, in general, and Dees, in particular, became increasingly seen as existing in a realm and status that was beyond question or critique. As Dees shepherded the Center to amassing enormous amounts of information about hate groups within the United States, writers, academics, and the FBI availed themselves of the information offered by Dees. When those on the right (conservative) side of the societal spectrum complained about the malleable manner in which the SPLC classified various groups, suggesting that the Center’s methodology was too politically driven, most people within the main stream and progressive camps assumed that such talk was motivated by the desire for individuals to not feel as if they were associated with hate. (As an aside, I think those critiques are probably largely specious, but they certainly do merit some degree of conversation around the nature of their complaints if not so much the substance.) Overall, though, Dees’s star could not reach higher into the evening sky nor could it burn hotter. He was a bona fide rock star in some universes, and the SPLC had become a cash cow with endowed holdings now reaching an unbelievable $340,000,000. Unfortunately, all this success was hiding a more sinister side. 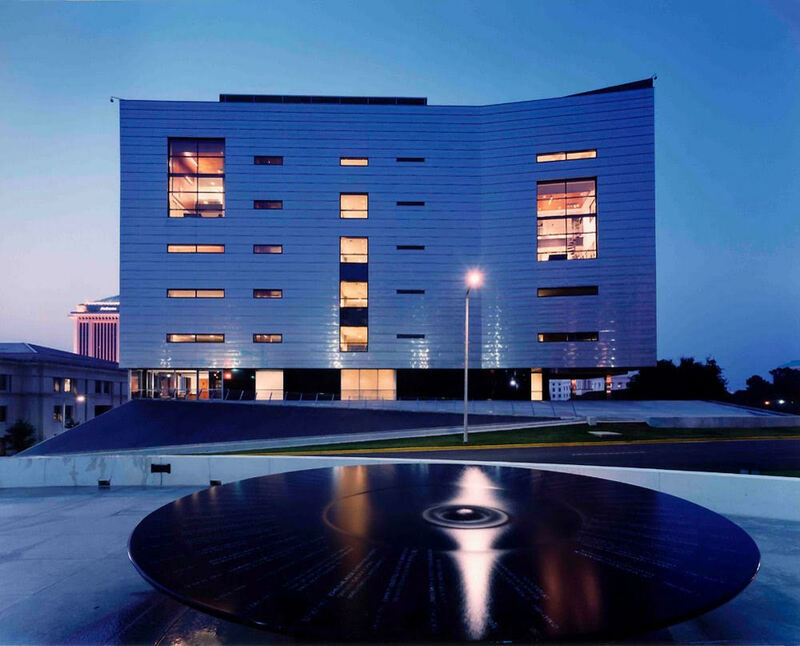 SPLC Headquarters, Montgomery, Alabama. Photo Unknown. If the accusations lifted up by The New Yorker article are accurate (and based on the swift firing of Dees and the almost as swift resignations of SPLC President Richard Cohen and Legal Director Rhonda Brownstein, it seems a safe assumption that they are) the ecosystem of the SPLC was corrupted from its inception and has spent the better part of almost half a century purporting to be one thing while all along being just about the exact opposite. While it is difficult not to feel some degree of satisfaction from the legal victories won against the dregs of American society in the form of the Klan, White Aryan Resistance, and a group called the Church of the Creator (who was found legally responsible for killing an African American Naval veteran), in many ways the ethos at the Center more resembled those groups than, I think, any of the SPLC’s supporters would want to admit. According to The New Yorker (and former SPLC employee Bob Moser), the staffing resembled Paula Deen’s The Lady and Her Sons restaurant. Sitting atop the leadership structure was Dees, the founder, and Richard Cohen, another white man who had risen through the ranks to finally arrive at the presidency, a position he served for almost 15 years until his sudden resignation. Moreover, virtually all of the legal and research staffing was filled by white folks as well. African Americans who worked for the SPLC generally were relegated to positions in the custodial and clerical departments. Financially, the Center also maintained a public persona and a private reality. If you ask anyone who had gotten on their mailing list in the late-1990s (which is when my wife and I both started getting their mailers), they would tell you about the ragtag band of attorneys fighting against the well-funded Klan and other hate groups. Dees himself would often pen these mailers, offering a personal touch to what were essentially fundraising missives. From early on (earlier than even than the founding of the SPLC), Dees figured out how to bring together his legal mind with his natural charisma in a manner that moved people to support whatever cause he chose. He united this knowledge with the founding of a direct mail business where he made a great amount of money helping other people make a greater amount of money. For the Center, each new mailer (some endorsed by other well known progressives, like the African American author Toni Morrison) brought in tons of money, largely from Northern liberals who wanted to continue the work of routing out racism in the South. While the presentation may have suggested an organization barely scraping by, financial filings showed a group that, by the beginning of the 21st century, had an endowment that exceeded other non-profits like the ACLU. The mission of the Center was further internally compromised as those in the highest levels of leadership (and, thus, the public face of the organization) were making exorbitant salaries while the actual mission of the group ran on shoestring budgets. It should be pointed out that much of this was known in certain segments of the population. A number of exposés were written over the past two decades alluding to something being rotten in the state of Denmark, but they received scant coverage from larger mainstream outreach. Former staff workers would often get together and recount the absurdities of working there while freely admitting amongst themselves after their departure that the whole organization felt like a sham. Yet, oddly enough, none of this, in and of itself, was what led to the unraveling of the SPLC. For that, we have to look to the troubling actions of its founder. In the age of the #metoo movement, there is something that has become pathetically routine about men with nearly pristine public personas turning out to be lecherous Lotharios in private. From Charlie Rose to Matt Lauer to Jeffrey Tambor, #metoo has opened a space for women to tell their stories and for powerful men to be held somewhat accountable. There has often been a somewhat formulaic response from the men involved. The formula typically goes something like a blanket denial followed by declaration of it being a huge misunderstanding to a dismissal of the seriousness of one’s actions to finally offering a begrudged (and often half-contrived) confession. In the case of Dees, this process has just commenced. All indications are that he will offer a complete denial and, in all likelihood, slink off into the retirement of a man who has garnered a fortune over the course of his career. He will certainly never need a paycheck. For the record, Dees told a reporter following his firing, when asked about the claims of sexual harassment, “I don’t know who you’re talking to or talking about, but that is not right.” He is predictable if nothing else. If the decades worth of allegations that have come to the light in recent months possess even a shred of veracity, Dees merely takes his place in a long line of individuals (almost all, men) who have succumbed to the power that comes with residing as the unquestioned head of any organization. From larger than life members of activist groups, to pastors at churches, to heads of academic departments, to presidents of the United States, there is a degree to which men placed atop singular pinnacles of power cannot resist the temptation to abuse their positions to garner their own sexual pleasure and fulfillment while pressuring their victims with the threat of lack of advancement or loss of job. The power differential in these situations can be completely overwhelming to those who depend on employment and advancement to make housing and car payments. Men like Dees, if these allegations are true, know this and use it to their advantage time and time again. In this situation, the reality is that Dees will likely pay little, either financially or otherwise, for the torment he inflicted on these women or the large-scale scam he perpetrated on the American people for almost 50 years. He will, in all likelihood, slide off into the gift of obscurity and live the final years of his life in comfortable seclusion (not unlike another scam artist, former presidential candidate, John Edwards). The wreckage that will no doubt be left behind will be for another person (probably a woman) to clean up. There are any number of reasons that I am a Presbyterian (not the least of which being that my ancestors have been Presbyterian since it was just called the “Kirk”). At some point, though, I had to make a decision for myself whether I would continue to find a home within the PCUSA. And again, while there are many reasons why I chose to remain in the denomination, even after I had fundamentally divergent opinions on a number of theological understandings from the larger church, one of the central reasons addresses the fundamental issue that has arisen around these matters with the SPLC. Within the PCUSA is both a decentralized leadership model and a connectional church where it is difficult (though certainly not impossible) for a single person to rise to the level of cult of personality within an individual congregation. 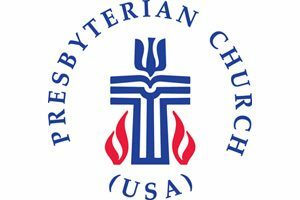 Unlike other denominations wherein each church is its own structure, largely unencumbered by the desires of the larger ecclesial body, the PCUSA both elevates leadership from the ground up and unites all worshipping communities under the same standards for ministry and membership. While organizations like the SPLC were driven largely on the personality and charisma of Morris Dees, Presbyterian churches, under the leadership of multi-person sessions, tend to prevent pastors from corralling too much power and authority under a single banner. What the Presbyterian Church figured out in the midst of the Protestant Reformation was that while groups like the Catholic Church, headed by a singular Pope (most of the time) and operating with a top-down leadership model, are susceptible to being corrupted, groups headed by larger numbers of folks taken from the masses tend to be less amenable to behaving in unethical ways. Leaders of movements will almost always let you down, movements themselves don’t. In a recent group study I led on the writings of Martin Luther King, Jr., one of the main discussions that we continually came back to centered on the gap between the powerful and poetic language used by King and his troubling behavior in terms of his family (and his academic performance). 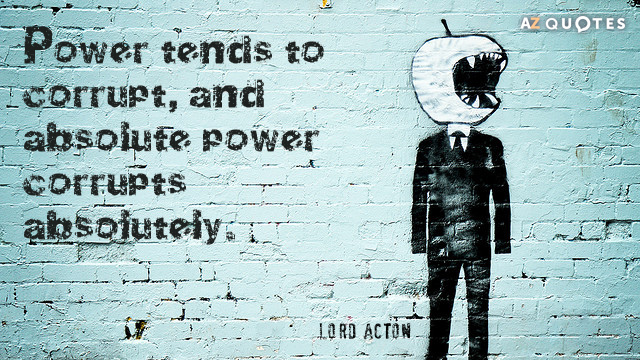 Of course, the same could be said of other revolutionary and otherwise powerful leaders, from Che Guevara, Fidel Castro, and Chairman Mao to John F. Kennedy, Dwight Eisenhower, and Donald Trump. Regardless of the way in which we might feel about the positions of one revolutionary movement over and against another, in the end, we must accept that when revolutionary leaders accumulate power that elevates them to the highest stratosphere of an organization, the results are often calamitous. Morris Dees is simply the latest to demonstrate the truth of this sentiment. Yuri Kochiyama (1921-2014), subject of the the Blue Scholar’s song titled, “Yuri Kochiyama.” Photo Unknown. In the aftermath of the events that led to the dismissal of Morris Dees (and departure of Richard Cohen and Rhonda Brownstein), those who have been hypercritical of the SPLC will no doubt crow at the downfall of the organization. Those groups who were named as hate groups by the Center will feel the right, I imagine, to celebrate vociferously the crumbling of the central thorn in their collective side. Moreover, those of us who have supported the Southern Poverty Law Center will traverse through the stages of grief as we process the disappointment that arises when people we revere let us down. That being said, when kairotic moments like this arise—those moments that occur after devastation—they are exactly the time that a new generation of revolutionaries can and must arise to carry the baton when others have fallen. Prometheus Brown, a member of the Hip hop duo Blue Scholars, is on point when he notes in a song titled, “Yuri Kochiyama,” that in every movement, revolutionary leaders die (or in this case, implode), but revolutions don’t. In our current political climate, there is more of a need than ever for organizations that continue to call into question racial biases and animus, just as there remains a need for the safeguarding of women’s health rights and for ensuring that the hard-fought legal victories of the LGBTQ communities are not reversed by a much more conservative Trump-era Supreme Court. What doesn’t need to happen is for those in the struggle to walk away because of the disappointment of one of our own faltering. We always must fight for movements, not their leaders. I still find myself reeling a bit from the steady stream of news stories that have arisen concerning the implosion of the Southern Poverty Law Center. More so, many I know feel a combination of sadness, anger, and shame at the manner in which its founder, Morris Dees, was able to spend the better part of 50 years hoodwinking dedicated givers, staff, and the general public while preying on young women who came to his organization to try and fight for a more just society within the United States of America. That being said, the time for retreating from the resistance is most definitely not now. There is much work to be done by any and all who wish to come together and struggle for equality, justice, and change. At the same time, let’s all take a step back from the different groups that we support and ask the question: Are they being led in a manner that is open, honest, and accountable, or is there a cabal where a healthy community, instead, is most needed? The Rev. Dr. James D. McLeod, Jr., grew up in the town of Lumberton, NC. 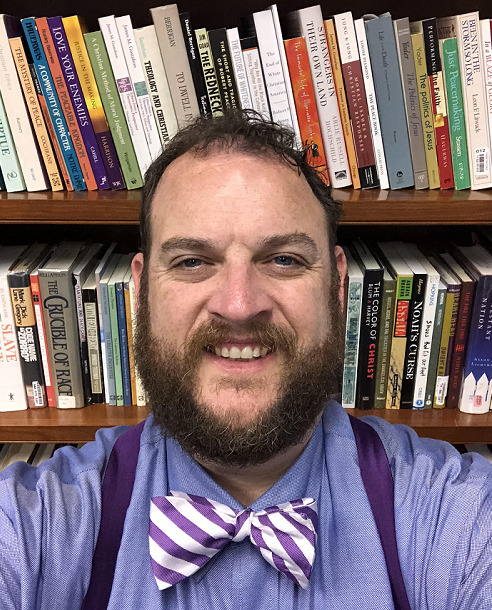 After attending Clemson University, he studied Divinity and Theology at Louisville Presbyterian Theological Seminary, and received a PhD from Garrett-Northwestern in 2015. His area of research is the intersection of race, religion, and culture. He has served churches in Missouri, North Carolina, New York, and Alabama. He lives in Trussville, AL, with his wife, Lesley, and three sons, where he pastors Cahaba Springs Presbyterian Church (USA).